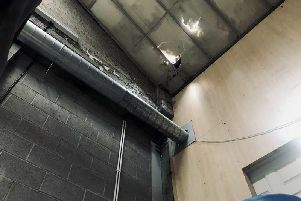 Police are appealing for information in a bid to find out whether a series of burglaries and thefts in Co Tyrone and Co Derry are connected. They are keen to speak to three or four males who have been seen in the area in a southern-registered black Audi car. Detective Inspector Trevor Stevenson said: “We believe they could help us with our enquiries into a number of incidents this week in the Tempo, Omagh and Derry areas." Just after 3pm on March 7 police received a report that a house had been ransacked and a shotgun stolen in the Glengesh Road area of Tempo. An hour later, a burglary in the Glencam Road area of Omagh was reported to police. And around 4.30pm, a robbery was reported in the Glen Park Road area of Omagh, during which a homeowner was assaulted with an iron bar. “That same evening, between 6.30pm and 9.30pm, there were a further two burglaries in Derry/Londonderry - in the Sutton Grove and Lyndhurst Road areas of the city," added Det Insp Stevenson. "In each location, a house was broken into, ransacked and items of value stolen. “There are similarities to how all these break-ins and burglaries have been carried out. And in a number of these locations, witnesses have told us they have seen a group of three to four men acting suspiciously. They are described as being of medium build, wearing jeans and with their faces covered by baseball caps, scarves or balaclavas. “I would appeal to anyone with information that could be of assistance to us, to get in contact with police on the non-emergency number 101, quoting the reference number 780 of 7/3/17.